Musicians are like athletes. And like athletes, they need both great body awareness (developing fine motors skills) as well as a sharp mind (knowing what to do with those fine motor skills under extreme conditions). And this is exactly why Lebron James is my musical hero. What?! You ask, how is it possible that a power forward that can shoot three point shots like a guard & plow through the lane seemingly scoring at will be my musical hero? Lebron embodies what all great musicians strive for: He has extremely well developed body awareness that comes from very refined motor skills + an agile mind that can react in real time to any number of given situations under pressure. In short, Lebron has what every mature musician in a band needs: The confidence to make thousands of choices a show & the facility on the instrument to execute those choices effortlessly. And at the foundation of these to abilities is an infectious level of passion for both the pursuit (the learning process) and the product (the game itself). Let’s start here because it’s the most familiar area for most of us and the easiest to wrap our head around. Music body = technique on instrument. Technique is everything from the ability to strum a chord progression in the key of C, D, and G to the need to play three different scales during a guitar solo. 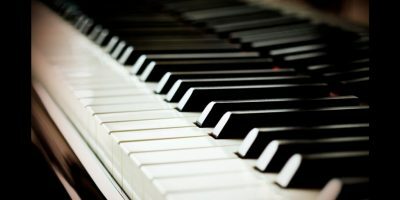 And here is the key, it’s being able to do this, while staying aware of how your body feels so that ultimately you can maintain your technique for long stretches of time (like the length of an entire show or recital). This is the theory (or building blocks) behind those chords and scales that you executed with that great technique. This is the area where many many musicians fall way short. They can play a fast scale on the guitar, but they have no idea why they are choosing those notes or even why they ‘sound good’ over a certain chord progression. All great composers & songwriters have strong music minds. They can w make educated choices with the information they have learned to recreate a specific sound. This is true whether we are talking about Tom Petty or Mozart. This is pretty self explanatory even though it’s the most neglected area in music education. This is sometimes called your ‘inner ear.’ It’s the skill you develop to be able to hear something in your head and then realize it on your instrument. Or your ability to see something on a page (written notes) and hear it in your head before realizing it on the instrument. 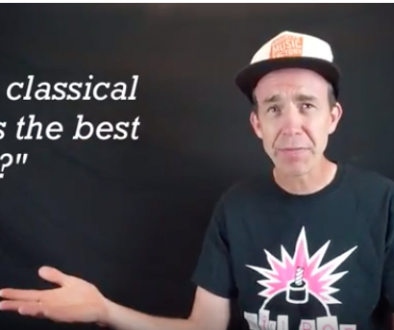 It’s actually THE most important skill all musicians need yet it’s the last one tackled (usually not until college do students begin to be challenged to develop their inner ear). All three areas of growth are required to have any shot at becoming the Lebron of music. Skip technique and you will be laughed off the court. Skip the ear & mind work and you will have no idea what to with all that technique on the court. As a basketball player, a masterful three point shot does you no good if you don’t know how to read the court, run a play, and know exactly when to pull up and shoot. As a musician, blazing fast scales on the guitar does you no good if you don’t know when to use that scale or how to listen to the rest of band, waiting for the perfect moment to place that guitar lick. Big Music Games is our answer to developing a music mind and music ear in a super fun way and early in your music education journey. We believe that every kid deserves to dream of becoming the next Lebron James of music. So we are giving them all the tools needed to have a shot at their dreams! Why do we play so many games at Brooklyn Music Factory? 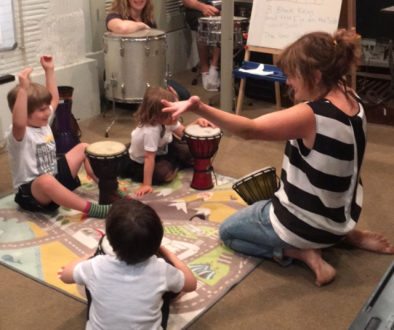 What makes a Brooklyn Music Factory lesson so different?